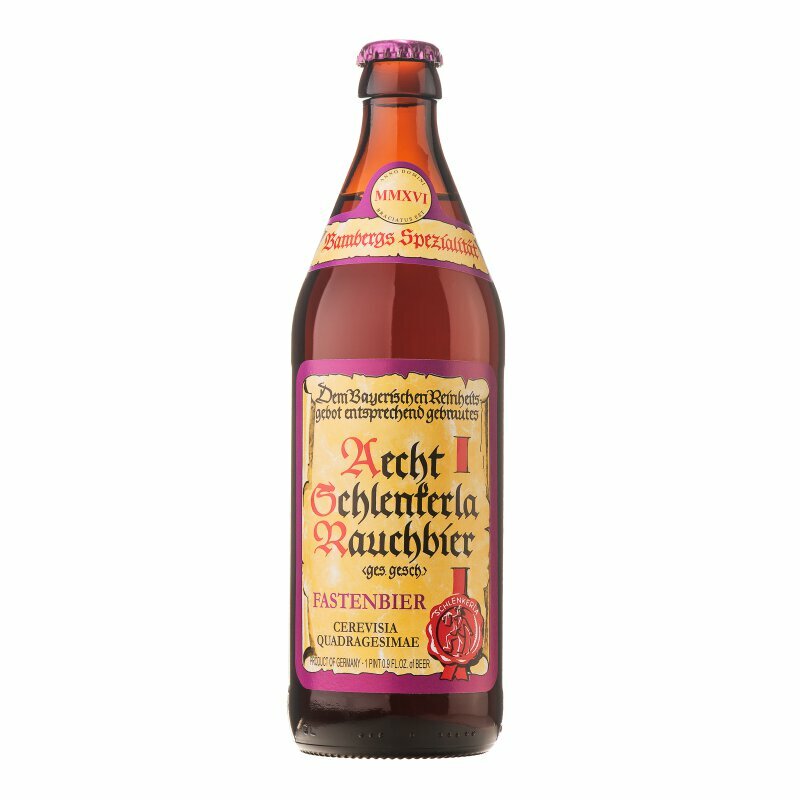 The Original Schlenkerla Lentbeer is an unfiltered smokebeer, brewed in accordance with the Bavarian Purity Law of 1516. Bottom-fermenting yeast gives the reddish brown lentbeer a natural cloudiness. Its smoky aroma is already noticeable in the smell, combined with a fine hoppy note. In the drink the fullbodied, highly drinkable lentbeer shows its strong malty flavour, rounded up with the smokey taste and a light bitterness. Due to the nourishing yeast, the Original Schlenkerla Lentbeer has the "Brotzeit already included" (German word for afternoon snack).